Tomorrow (8th October) is National Face Your Fears Day. Go figure. It got me thinking about what I fear and how I’d face it. Eek! Since young Master Splodge arrived, like any parent my fear is that he’ll come to harm in one sinister way or another. In the early days I clearly remember fretting about everything. But by and large kids are pretty resilient things and they tend to bounce when they fall off the bed, knees are scraped and heads bumped. They’ll get every bug going, so I’ve just learned to embrace that and carry tissues and calpol with me everywhere. It’s the really evil stuff in the world that lurks in the back of my mind. And traffic, bloody traffic. Toddlers have this uncontrollable urge to run into the path of oncoming vehicles. At least tearing it down the road after him keeps me fit. So pre-baby, in those heady days where lie-ins were mandatory, dancing into the early hours standard and the ability to just pick up your bag and run out of the house unfettered by changing bag checks and wrestling shoes onto a reluctant child easy. What were my fears? Snow – yes I acknowledge this is a weird one. I always fall over when it snows and the streets are slippy. I fall, I pretty much always break something and then someone has to spend the next 6 weeks helping me put a bra on. I hate opening the curtains to find the streets are thickly lined with snow, it brings on a huge amount of anxiety. To combat this I never used to leave the house, but now I’ve got a few pairs of those ice grippers which make life so much easier. I think we can consider that a fear faced. Singing in Public – I’m no Adele, I’m not even a Cheryl Baker. I know I can’t sing so I rarely do it (sober) in company. I do however love singing, belting out songs when I’m alone in the house. In my head I’m ace. In reality, awful. Then you have a baby and every bloody baby group has an obligatory sing along. Nightmare. I went with it on the grounds that it’s what you do; I sung quietly and hoped no one would hear. Cue my son’s 2nd birthday party. Let’s have a sing song at the end I say. Guess who ends up leading it? Only Tone-Deaf Tina here (my name isn’t Tina, but it doesn’t alliterate quite as well)! Stood in a silent room with the expectant faces of children and their parents turned towards me I’m forced into centre stage. Sleeping Bunnies (natch), Dingle Dangle Scarecrow, Baa Baa Black Sheep etc. I was rubbish, but I pulled it off. Won’t be doing it again though. Ever. Fear faced! Wifi – I’m guessing you’re reading this online or on your phone. Most of you will be using your wifi. Now imagine a world with NO WIFI. The horror. The horror! This is a fear I will probably never conquer. Being unable to check Twitter fills me with terror; lack of email access brings on a panic attack and if I can’t blog then I might as well throw in the towel and give up on life. It’s a modern curse and my biggest fear. I know you feel it too. I know it. 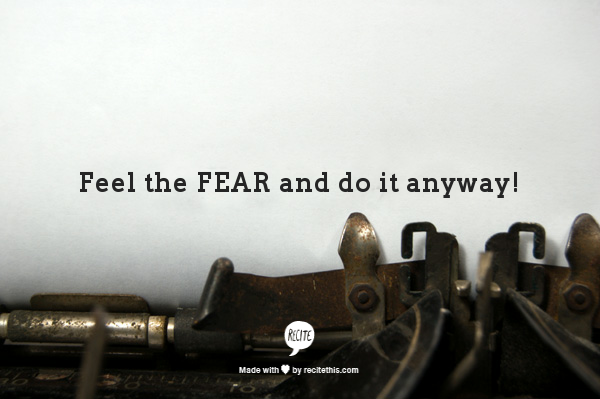 This entry was posted in Life, Mental Health and tagged fears, phobia, phobias. Bookmark the permalink.